What do you get when you bring five great players together onstage in front of a room full of music lovers? 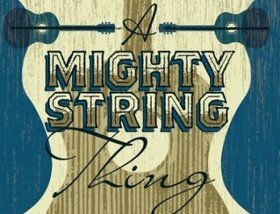 This is the musical question that the only A Mighty String Thing can - and will - answer! One look at who's coming out to play and you know they're players who are going to deliver the goods. Their track records are chock full of names you know who only play with the best, and together they bring a century or two of experience to the stage. If you've ever been to a folk festival, you know what can happen when artists of different musical persuasions get together. We're talking once-in-a-lifetime musical moments that leave everyone in the house - both the players AND the listeners going "Wow, did that really happen?". They're usually served up with some great stories and a side order of laughter too. 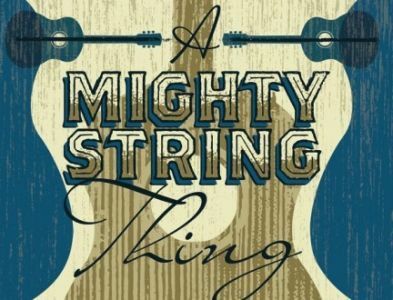 If you've never been to one of these sessions, A Mighty String Thing is your chance to check one out, with no worries about the weather and a comfy seat to boot. It's a night of fine music that seriously you do not want to miss. Los Texmaniacs is a conjunto band created by Max Baca in 1997. Baca wanted to create a band that incorporated elements from genres such as rock & roll and jazz while still honoring the roots of conjunto Tejano. In 2010 Los Texmaniacs won a Grammy Award for Tejano Album of The Year Borders y Bailes. The members of Los Texmaniacs have changed over the years but have always included Max Baca and Josh Baca. With nearly a century of music making between them, Doug Cox and Sam Hurrie are avatars of pretty well every style of blues/roots/acoustic music that ever made you want to tap your toes or clap your hands and shout for joy. Currently at the height of their powers, these musical “old souls” came by their expertise the old-fashioned way: endlessly honing their skills during a lifetime of playing and performing. The two musicians first met at a gig in Powell River in the 1990s and felt an instant connection. “The music we instinctively wanted to play was blues oriented, but came from the perspective of guys who grew up in the world of rock ‘n’ roll,” says Doug. There is a real chemistry between the two men. Doug and Sam present timeless music in a way that will dazzle and delight. An exceptional stage presence, guitarist / singer-songwriter Cécile Doo-Kingué blends blues, afro-roots and soul to create a unique sound. Born and raised in New York City, first generation from Cameroon, she has lived in the USA, France, and is now an adopted Montrealer. Cécile is quickly earning a stellar reputation and a place alongside Canada’s current roster of great guitarists. Powerful and raw, her guitar prowess, lyrics, and sound make for enthralling and intimate communion.